This book is a compilation of different types of romance stories with the theme “love against the odds”. Some are original short stories written by Malorie Blakcman, David Levithan and James Dawson. 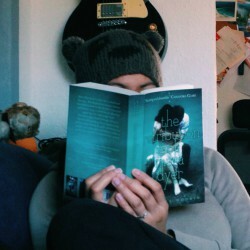 Most are excerpts from pre-existing novels like If I Stay, Forbidden and I Am The Messenger. Some of the readers might find this book disappointing because they have already read some of the excerpts included or they will think that this book includes spoiler, which is not. My only problem with the excerpts was I had a hard time understanding what was really going on and most of the time I got confused with the characters. It’s like you open a book in a random page and you don’t have any idea why the character is crying. I can say that this book will still make an awesome read with the original short stories alone. But it’s not bad because this also introduces us to some of the great authors and their works. One thing is for sure, this book will make your TBR list longer. Some of my favorites from the original short stories are Gentlewoman by Laura Dockrill which is about a boy who came out and changed himself into a girl with the help of modern medicine, The Unicorn by James Dawson is about the bittersweet story of a forbidden relationship between two Navy guys during the Korean War, and David Levithan’s Miss Lucy Had a Steamboat which is a story about a girl who falls in love with the new girl in school and how she ends up with a realization when things didn’t work for them. 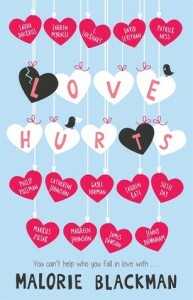 All in all, I enjoyed reading Love Hurts. Ms. Blackman did a great job collecting unique, fresh, and interesting love stories for the readers to realize the real meaning of love. *eARC provided by the publisher via NetGalley in exchange for an honest review.